One if the things you simply don't go that will with no questions asked get you called a racist is to refer to or compare any African descended person to an ape. 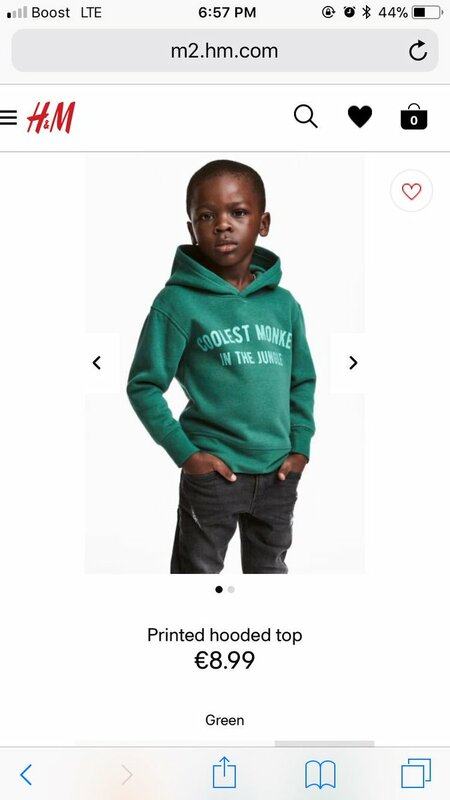 Obviously there wasn't a Black person in the room when the Swedish headquartered H&M approved this ad that has a Black kid modeling a green hooded sweatshirt with the words 'Coolest monkey in the jungle' emblazoned on it. 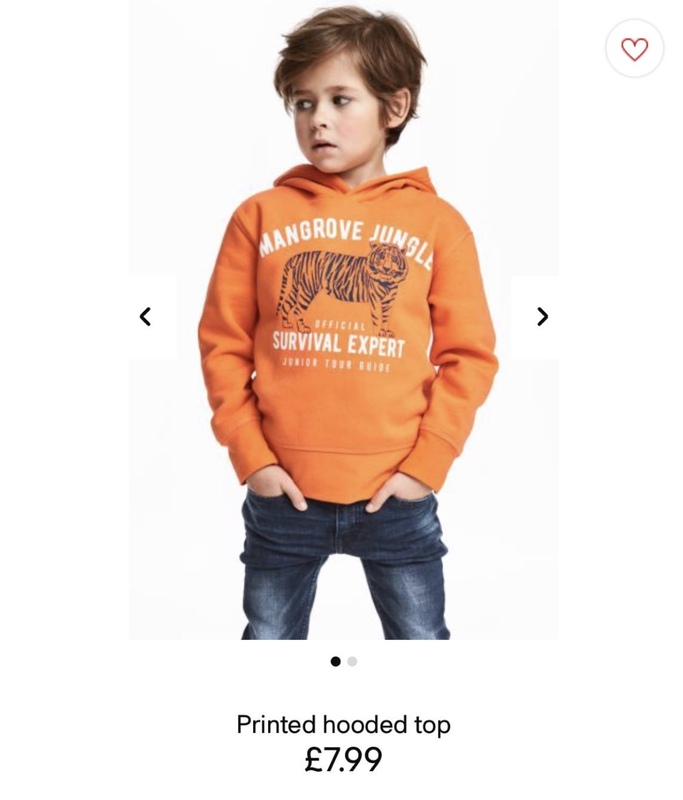 And if you think I'm being harsh about calling this a 'racist advertising fail' , explain why the white child models have hoodies on with the words 'mangrove jungle survival expert'? I'll wait for you to come up with an excuse. An accident? Accident my azz/. After all the times you have seen other retailers over the years get called out for similar racist faux pas advertising crap, it's obvious that y'all not only didn't think this out but didn't have Black people in the room when y'all were brainstorming this. As for those of you wondering why me and of Black people are going off about this, it's because of Black people for centuries have been called monkeys. White people have been using that racist characterization of us to oppress, denigrate and dehumanize our community.